Leading provider of complete soundproofing and noise control solutions. Aeroacoustic designs, engineers and manufactures acoustical products for industrial noise control applications. All products are manufactured in the U.S.A., including silencers, enclosures, panels, silent rooms and more, with installation and sound survey reports available in order to provide full service to our customers. Manufacturer and distributor of specialty soundproofing, noise reduction, acoustic-thermal insulations, acoustic baffles, sound absorbers, noise barriers, studio and home theater acoustic products. Engineering and construction company specializing in turn-key industrial noise abatement and noise consulting throughout North America and abroad. Your one-stop shop for soundproofing needs, soundproofing materials supply, noise control consulting, and soundproofing installations. Specialists in engineered products for Sound, Vibration & Noise Control. SOLVING NOISE PROBLEMS SINCE 1961! More than sixty years experience in the design, manufacture and installation of acoustic enclosures and barriers. groSolar is a leading North American distributor and installer of solar energy solutions for residential & commercial installations. Hatch is a large global engineering company serving metallurgical, mining, energy and infrastructure clients. For over 30 years we have helped our clients solve their Noise and Vibration issues and provide their employees and their neighbours with quieter facilities. The World Leader In Noise Control. A Worldwild Manufacturer Of Noise Contol Products And Services. ndustrial Acoustics Company has been providing sound control products and systems to architects and engineers in industry and government since 1949, providing turnkey solutions to a wide variety of sound control problems. Manufacturer and worldwide supplier of a broad range of acoustical, noise control, and vibration isolation products used in buildings. Manufacturer and worlwide supplier of a broad range of acoustical, noise control, and vibration isolation products used in buildings. Manufacturers of acoustical panels, enclosures, curtains, silencers, and related noise control products for industrial and HVAC applications. New England Soundproofing is Massachusetts' only consulting, sales, and installation of soundproofing material. Shiner + Associates, Inc., founded in 1973, specialises in Architectural Acoustics, Aircraft Noise, Community Noise Surveys, Environmental Surveys, Mechanical Systems & HVAC Systems, and Industrial Noise & Vibration Control. Soundproofing America specializes in soundproof flooring, acoustical treatments, mass loaded vinyl, acoustical cotton insulations, soundproof windows, and a wide array of soundproofing support products. Our professional technical staff is available 6 days a week to help folks throughout the United States. SoundSense is a turnkey acoustic engineering company that mathematically models spaces, supplies patented and proprietary products, and performs innovative installation techniques to provide the Paradise Effect (TM) for any environment. We don't just sell products--WE ENGINEER SOLUTIONS! Stanford Associates is your best source for industrial noise control products. Manufactures and distributes the 'Troy System' --a patented sound attenuation wall system for both interior and exterior uses, specializing in Broadcast, Shooting Ranges, and Sound Stages. We design spaces to help prevent noise problems, or solve them for most all indoor and outdoor commercial, institutional, residential and industrial environments. Acousricontol is now the U.S. distributor for SILENTIUM, an active noise reduction technology for home appliances, cars, ventilation systems, computers, air conditioning, medical equipment, and many other noise suppression applications. See; www.silentium.com. Allied International Corporation designs and manufactures fiber metal media reactive silencers for aircraft and severe environments. Our products save energy and help keep your home quiet! Attic stair covers and fireplace draftstopper. A full service company that specializes in residential noise control, City Soundproofing offers consultation, materials and installation to help promote peace and privacy in your neighborhood. Commercial Acoustics manufactures a wide range of products for commercial and industrial applications, including sound attenuators, acoustical panels and enclosures, and acoustical louvers. Manufacturers of absorption and diffusion panels, bass control units, and soundproofing products. Eckel develops products for industry testing and research. Products include anechoic chambers, noise control panels, industrial sound enclosures, engine test cells, and turbine silencers. Qt Sound Insulation is made from 100% recycled rubber that can be used under all floor finishes or even gypsum and full-weight concrete, and is designed to solve almost any impact sound problems. Products and services for acoustics, noise and vibration control. Acoustic Systems manufactures modular noise control enclosures to meet predetermined acoustic performance levels. We help people find noise control solutions for new construction, remodels, multi-unit housing, cars, hotels, schools, ect. We make custom accoustic draperies that are very effective. FROGBOX COMPANY (USA) Ltd. Is represented by CONTROLLED ACOUSTICS CORP. Frogbox (TM) is the SMALLEST Acoustical Enclosure for air cooled condensing units. It ELIMINATES complaints & noise code violations! Saves up to 70% of floor space. Premier gypsum floor underlayments and acoustical control products. The world's leader in treated wood products, Hoover also manufactures PLYWALL, the only pre-fabricated all wood sound barrier system. Illbruck is a manufacturer of acoustical ceiling tiles, wall panels, baffles and barriers. Sray-applied acoustical and thermal products that are manufactured from a minimum 80% recycled materials. Our products contribute to the LEED Points System. Krieger Specialty Products is a custom, special purpose, door and window manufacturer utilized by leading architects, engineers and designers in premiere structures worldwide. KriegerSonic acoustical, STC, sound/noise control high performance assemblies primarily serve commercial, industrial, institutional, and governmental users. MBI manufatures various types of acoustical products suitable for all types of facilities. Industrial, commercial, and architectural noise and vibration control. New Frontier Industries, a non-profit corporation, manufactures EverQuiet Wall that is easy to install, a certified "Green" product from recycled plastic that lasts a lifetime and is effective for many noise reduction applications. Producers of custom acoustical wall & ceiling panels for commercial interiors. We sell the environmentally friendly machines and products. Polymer Technologies is the most dynamic and fastest growing manufacturing company in the acoustical and thermal composites industry. Our products save energy and make for a quieter dwelling. See our fans and sealing products on our website, or call for a catalog. Manufacturers of sound absorbing acoustical plasters. The leading manufacturer of duct sound attenuators and acoustical panel systems that eliminate noise associated with large fans and machinery utilized by commercial air conditioning systems and industrial processes. The home of SONEX Acoustical Foam and Noise Barriers available worldwide for noise control in pro audio, industrial, office and room acoustics settings. For over 40 years, Sound Fighter Systems' LSE Absorptive Noise Barrier System has proven itself as the most advanced commercial-grade absorptive sound wall in the market. The LSE System has an NRC of 1.05 and a STC of 33. It is fully engineered, incredibly durable, impervious to the elements, very low maintenance, and easy to install. The LSE System has been consistently providing outstanding noise mitigation in varied applications around the world, including designs for Oil & Gas equipment, DOT, Bridges, HVAC Enclosures, Industrial, Manufacturing, Retail 'Big Box' Developments, Transformers, Loading Docks, Apartments and Condos, Construction Sites, and many other areas. Provider of simple, effective products to solve every noise problem. Distributor of products for both residential and commercial sound proofing and noise control. Soundown Corporation manufactures noise control materials and offers a wide variety of sound reduction materials in various thicknesses, weights and surface finishes. Our technology, rseources and capabilities for quieting noise in marine craft are unmatched. Peacemaker alarm accessory reduces false alarm siren noise. Temporarily disrupts power to the alarm siren if there have been patterns of repeated or extended siren soundings indicative of false alarms. Easily added to any existing car or home alarm system. Surfacing Solution makes one lb. per square foot 1/8" thick black vynil barriers to stop noise through walls, ceilings, and floors. The Modal Shop offers a one-stop sound and vibration rental shop ranging from Type 1 and 2 sound level meters, intensity systems, dosimeters to outdoor environmental noise measurement "kits." Consultants in acoustics specializing in voice control engineering. Br�el & Kj�r North America Inc.
For architects, engineers, and owners, CDAI provides integrated design services in acoustics, audiovisual, lighting, and theatre. Providing innovative and cost-effective environmental & health and safety consulting services to clients throughout the world. ESI provides specialized services to architects, engineers, and industrial clients in dynamic structural analysis, vibration, and noise control and testing. HEAD Acoustics offers test systems and consulting services to companies that need to reduce the noise of their products. Founded in 1976, Hessler Associates has been providing environmental, industrial and architectural acoustic measurement, analysis and design services for over twenty five years. The specialty of the firm is the acoustic design of power plants for the electrical power generation industry. Nelson Acoustical Engineering, Inc. provides professional noise control consulting services for design and retrofit of products, machinery, and industrial plants. Acoustical consultanting firm specializing in marine and industrial noise control consulting. IRSST carries out scientific activities In seven research fields: accidents, chemical substances and biological agents, musculoskeletal disorders, noise and vibration, protective equipment, occupational rehabilitation, safety of industrial tools, machines and processes. 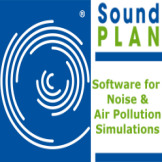 Acoustical consulting firm specializing in environmental noise and architectural acoustics. We provide unsurpassed service to resolve noise and vibration problems for clients throughout the United States.